SLOUCH POTATO With Added Trump! | Warped Factor - Words in the Key of Geek. 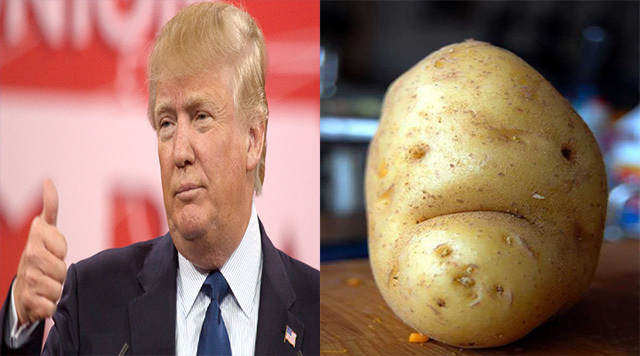 SLOUCH POTATO With Added Trump! Never in America's wildest dreams, or is that nightmares, did they think they would be on the verge of electing the least credible President in their short history. Donald Trump is portraying himself as a loud mouthed, trigger happy racist, and as a result finds himself involved in one of the most dirty, divisive and violent campaigns anyone can remember. In the Channel 4 show, President Trump: Can He Really Win? Matt Frei discovered that the root of Trump's power rests with disenchanted working class Americans who have suffered years of broken promises, and its through that anger that Trump is picking up large numbers of votes and gathering momentum. 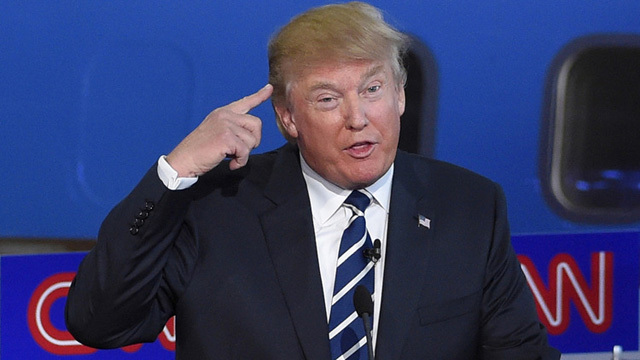 Frei revealed that the campaign has been disturbing for other reasons, with the Republican candidates resorting to un-intellectual gutter politics to score points, even going as far as ridiculing the size of Trump's hands and suggesting that his man vegetables may be similarly insignificant. Far from being horrified by these ridiculous school yard accusations, Trump uses it to his advantage, but as he continues his attacks on Mexicans, immigrants, women, black Americans and homosexuals, even he must realise that the country he wants to make great is starting to disintegrate around him. At Trump's Republican rallies there is discord and often chaos as his supporters clash with opposing factions, resulting in an unprecedented series of ugly fights, but the well oiled machine that surrounds him prevents too many protesters or dissenting voices being seen or heard. It's only going to get worse as America braces itself for a "dirt fest". Hillary Clinton may be the only person on the planet to prevent "The Donald" taking office. At this point you realise that it isn't much of a choice! Clinton and Trump were once bosom buddies, he even financed her early political aspirations, but that was back in 2012 when he liked and admired her and before he realised he had a chance of grabbing the biggest and most powerful job in the universe for himself. This documentary by Frei was a fascinating, speculative piece, which ended up being just a little bit scary. It's a sobering thought that Trump, who makes Boris Johnson look good, doesn't have to rely on financial donations as he has an endless pot of cash at his disposal. So If he doesn't win this one, rest assured he will be back for another shot at the title. 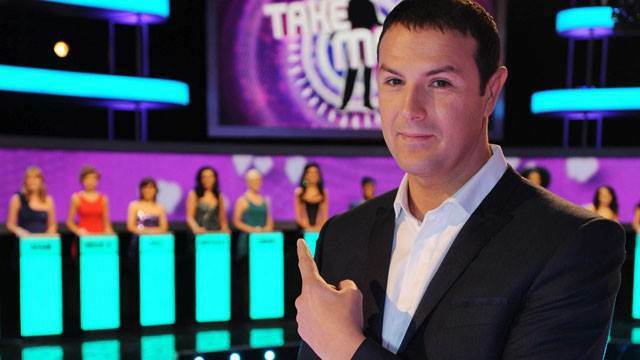 Take Me Out is the reincarnation of the latter. If we wanted to be pedantic, we could refer to it as 'Son of Blind Date', because it is, without question, an unapologetic show that comes with the most obvious of name tweaks, a vague format change and replacement host. Strangely enough, the contestants (if that's what you call them?) remain exactly the same, like a collection of dimwits in charge of a knitting machine who are excited, alarmed and surprised to find that they have ended up with a three armed sweater with recesses for two heads. Thankfully, it doesn't seem to phase them at all and their irritating chirpyness allows them to go on dates with people who they would normally pelt with stale buns. At best Take Me Out allows us the opportunity to sneer at these desperate oafs who would give anything to appear on TV. It gives us the chance to mock those lost souls that are socially inept and who are incapable of talking to females without an audience, camera and presenter present. It's not wide of the mark, either, to refer to it as inconsequential hogwash, yet obliging host Paddy McGuinness almost lets us in on the joke by abusing the waiting row of eager, red lipped, lovelies, who can't wait to get a table on the fictional Island of Fernandos with anything in trousers, and by mocking the air headed male suitors who couldn't get laid in a brothel. Most of the males taking part are insanely arrogant, self absorbed mirror hawks preened and groomed to within an inch of their lives. They all seem to have some quirk, love their mums and have some sort of dormant talent which they inflict on the captive audience. The majority of the women seem as if they are heavily restrained by leather harnesses beneath their respective podiums and are portrayed as sexual deprived librarians looking for any amount of sexual tension or relief. They coo, pout and clap like a collection of monkeys, faces heavy with make up and skirts as short as a police commissioners apology. Take Me Out is a helium filled bag of excrement, the sort of pap that clogs up the schedules and turns us all into gormless armchair cyborgs who eat our own body weight in crisps and chocolates. McGuinness is the only saving grace, clearly having fun at everyone's expense for a hefty fee, but without him the tragedy would be even worse. Whitechapel had, on paper at least, genuine potential. The series featured detectives in London's Whitechapel district dealing with murders which replicated historical crimes, and seemed to be a decent way to revisit the police genre. 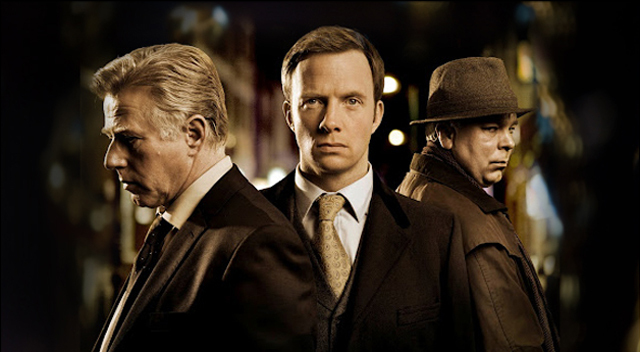 Unfortunately, the lead characters of the uncooperative DS Miles (Phil Davis) the ambitious DI Chandler (Rupert Penry-Jones) and the murder historian Edward Buchan (Steve Pemberton) don't quite work together. The friction between Davis and Penry-Jones, both fine actors, tends to become annoying and draining, detracting from the drama and quickly descending into the realms of a schoolboy skirmish. Quite how such a wet lettuce such as Chandler made DI is one of the more compelling questions on offer with his theoretical detection & OCD. Ignoring this major gripe, there was enough on offer in the first series to sustain interest within its sporadic dark tones. Focusing on a series of copycat murders mirroring Jack the Ripper, it wasn't perhaps the most cohesive of shows, but most of the time it was a competently crafted detective series. Where Whitechapel faltered was in its second season which features 'The Krays' - no, not those ones, the other ones who look like a pair of garage mechanics. Season two was poor, to say the least, and really lacked the impact of the original. ITV should have realised that you can pull a horses neck as hard as you like but its unlikely you'll end up with a giraffe. Yet they commissioned a third regardless! Fortunately, that turned out to be a good decision for all concerned, as this was far superior to the second installment. Instead of spending the entire season dealing with one event, this series and the one following were both split into three separate two-part stories, with each focused on a different case. If Whitechapel had developed as an out and out police series from this format then it may have become quite a memorable one, but the combustible relationship between the two lead detectives began to dissipate and become a relationship of mutual respect. Whereas they were a tad annoying beforehand, now that they combined in a more conventional way the show started to become a bit tame. Neither character had enough in reserve to maintain solid interest, and they merely became a device to fuse the script together. By the start of the fourth and final season you could sense that even the actors could see an end to proceedings long before ITV decided to cancel the series. If you forget about the second series altogether, then Whitechapel was a decent, if disjointed affair, but one which could have been much, much more. 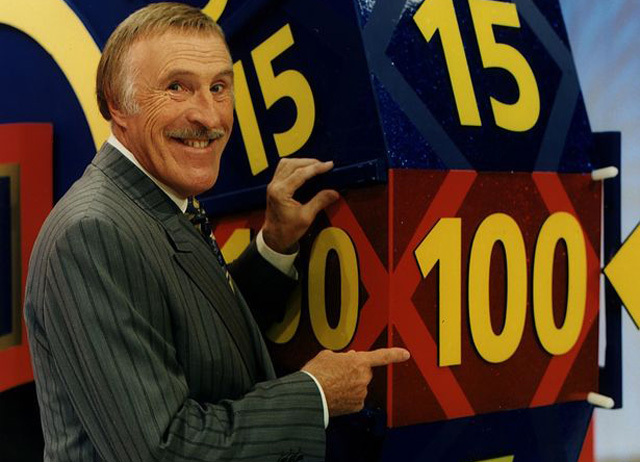 Today's quiz show prizes can actually be life changing for the contestants, but there was a time that quiz shows assets were cheap, tacky and almost functional. It's as if the production teams were in competition to offer up the worst combination of prizes, either in terms of value or usefulness. So in this new feature I will delve deep into the dungeon of quiz show squalor to unveil my own particular favourites. 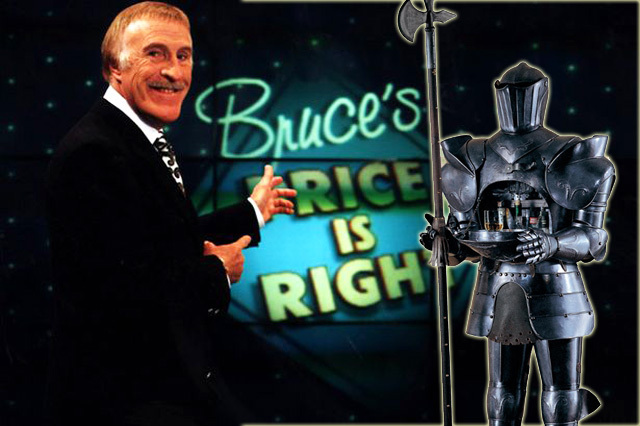 Bruce's Price In Right, hosted by Bruce Forsyth, ran from 1995 to 2001 and was a mindless knockout show that only required contestants to guess the prices, or combined prices, of the featured objects. Contestants flew down the staircases flapping like sexually excited pigeons, as if the mere mention of their name guaranteed them a prize. Sadly, the majority just stood there at the podiums like a bunch of lemons, watching others go for glory. Woo Woo! Of course, it was just an excuse for the host to show how witty he was, but that was part of its appeal. Forsyth could, in fact, name his own price after he was poached by LWT, having been a phenomenal success in the Generation Game over on Aunty Beeb. He was, at the time, generally regarded as Mr Prime Time, regularly pulling in over 21 million viewers a week, which by today's standards is incredible. Bruce Almighty used his absurd energy levels to prance about, pull faces and involve himself with the audience regularly. At times he resembled a giant, drug influenced cricket, balancing half a bale of straw on its head. 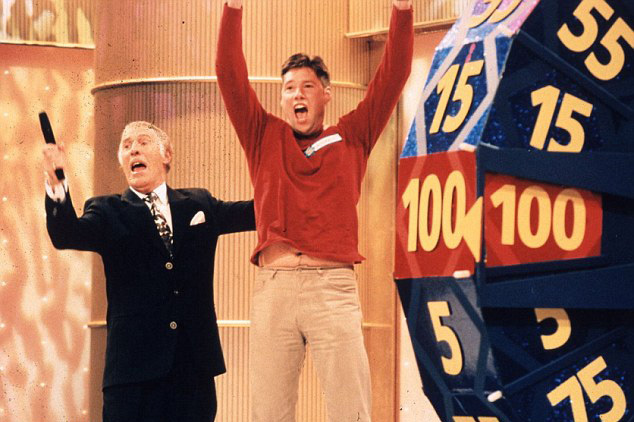 The contestants were hand picked for their boundless enthusiasm and willingness to look completely stupid, with Bruce more than happy to oblige them. Take Amit, who had the unenviable task of picking the most expensive of three items (and this is where I can illustrate the true barminess of the prizes available). On offer was a bright yellow fridge/freezer (normal), two fold away bikes (okay, not something I'd use everyday but..) and....a suit of armour! What? Yes, there it was gleaming away under the studio lights as a curvy hostess seductively opens up the breast plate... to reveal a drinks cabinet! Amit actually looked like he wanted to own this lot and guessed them in the ascending order of bikes, fridge/freezer and suit of amour. I was baffled to learn that the tin drink cupboard came to £1295.00. Exactly where would you buy it and who on earth would want it? They were just two of the questions that came to mind. Amit guessed correctly though, and subsequently went through to the showcase final. Now he looked unstoppable, capable of achieving anything. He was asked for the combined total of a framed set of historical bank notes (who wants that? ), a holiday to South Africa with £500 spending money, a hot tub the size of a caravan and a shiny red Ford motor - which had a male and female host waving their hands above it, below and inside the vehicle, to somehow illustrate its desirability. It didn't work! Amit plumped for a sum total of £24,000, he could be £3,000 under but not a penny over. Unfortunately he was over by £70. He looked dejected to be so near yet so far from victory. Fortunately Forsyth was at hand to mop up the potential tears. "Don't forget you did win the knight in shining armour." How was he going to forget that? And how was he going to get it home?